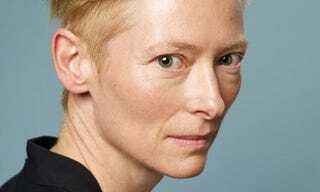 Tilda Swinton has quite the healthy acting repertoire. The Deep End and Orlando are some of my favorites. I don’t want this to come off as something personal, but there seems to be a misunderstanding or sidestepping the question of why she is playing a character who is Asian in the comics. The Ancient One is a Mystic Tibetan Monk (since this is comics) who is Asian and male. The problem is notwith gender, personally I’m not bother by the change, ethnicity, however is another matter. Over at The Hollywood Reporter those questions and her answers do not exactly connect. With all due respect, Ms. Swinton either doesn’t understand the question or circumvents it. No one is accusing her of actually portraying/ or attempting to pass as Asian, rather why is the character she plays not Asian? But the problem is not her responsibility to solve. Its not any one person’s issue. Even with all the talk of diversity - a word that I myself don’t really know how to accept because of this very problem - Hollywood or Show Biz is still uncomfortable bringing people other than white into the story. If the concern from movie makers is how to deliver an accurate and respectable portrayal of non-whites, one way is to avoid stereotypes which is not at all difficult. You don’t want to give the character an offensive sounding accent, then have him/her speak in their language and subtitle the dialogue. Don’t be afraid to let the audience engage in the experience of listening to communication which is not expressed in English. Why do we pay the cost of the ticket? Movie going audiences are not that selfish or stupid these days.